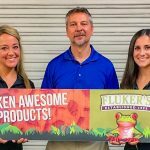 Pelican’s Business Development department consists of four talented team members who serve over 300 Select Employer Groups (SEGs) throughout Louisiana. They are constantly on the road to ensure that our partners and their employees are taken care of. We’re invested in building strong relationships with our partners. Pelican is there to not only support their financial needs but also attend their community events, lend a helping hand as a volunteer, drive in company parades or even dress up as a waiter! 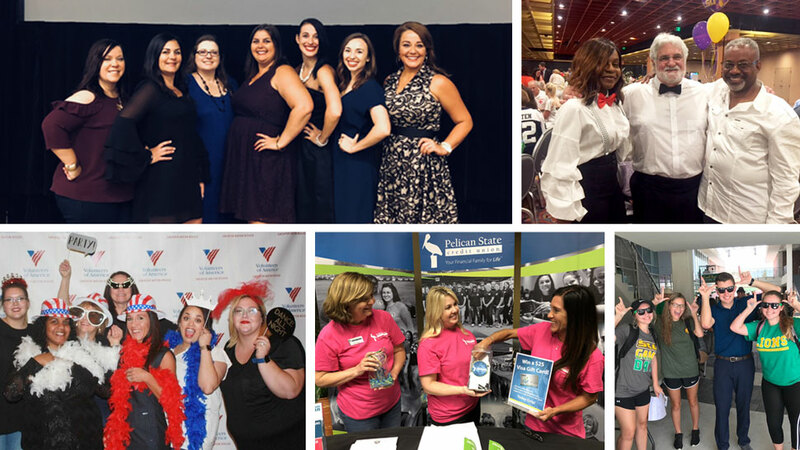 As we begin to close out the year, we wanted to say thank you to all of our Select Employer Groups and highlight a few of our team members’ favorite events. 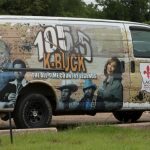 I’m responsible for developing SEG relationships and community outreach in the Northern Region of the state including the Shreveport, Monroe, Conway, Alexandria and Pineville Branches. The relationship I have built with our Select Employer Groups over the years has been very gratifying. I have great communication with each of my contacts and truly enjoy being able to be involved in the employee events that are so meaningful to them. We are on a first name basis, and I am even invited to some of their monthly events. 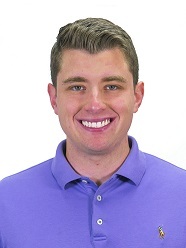 Find out more about what our Business Development Reps. do in Ed’s blog post, A Day in the Life of a Business Development Representative! One of the perks of being a Select Employer Group is having Pelican sponsor our partners’ employee appreciation events. Central State Hospital, located in Alexandria, has been inviting Pelican to this great event for many years. This is one of our favorite events because our Pelican team gets to supply, shop for and serve all of the meals for the Central State employees. We are able to supply meals for over 200 people. This usually amounts to at least 6 shopping carts and a very, very long receipt! It’s events like these that make working for and partnering with Pelican so enjoyable. I am one of the lucky guys who gets to be a celebrity waiter! I can say that I wear many hats in my role at Pelican, but being a waiter is one of the most fun. I truly look forward to it. It is so great serving and representing our SEG partners and the community. 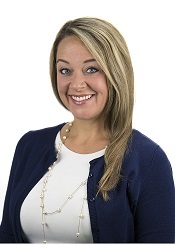 I’m responsible for developing SEG relationships and community outreach in the Greater Baton Rouge Area including the Mid City, Denham Springs, Prairieville, Jackson and Zachary branches. Pelican loves to volunteer, especially when it comes to our SEGs. Volunteer opportunities allow us to truly give back in the most valuable commodity – time. 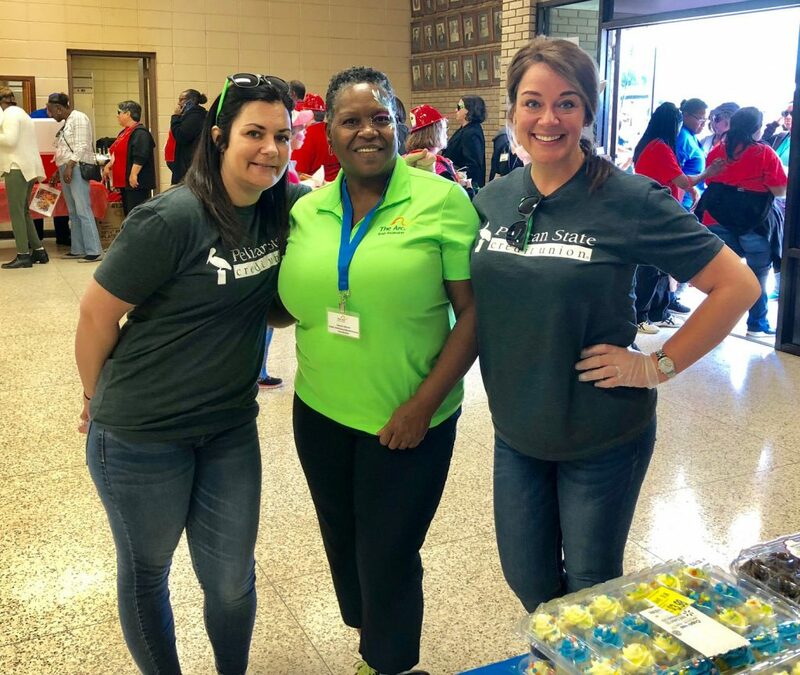 In March 2018 we spent the whole day volunteering for the Arc of East Ascension at their annual Family Fun Day. It was a day filled with beautiful weather and good times. The favorite for most of their clients was the dance contest. Each dance winner received a prize, and Pelican was happy to donate them! Another favorite was the Pelican sunglasses everyone got. They were a hit. Many community sponsors join together on this day in support of this worthy organization. 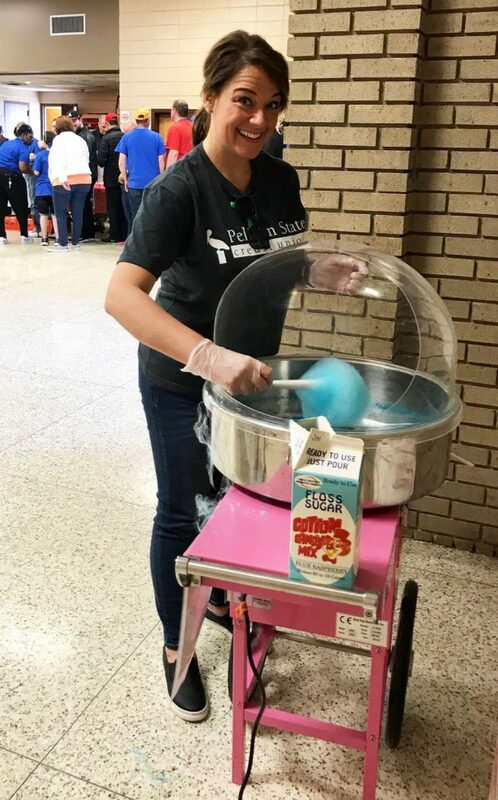 Serving lunch, making cotton candy and simply spending quality time with each other throughout the day were great moments. CORE Occupational Medicine joined the Pelican family early this year! Shortly after partnering with Pelican, their team hosted its Employee Appreciation Day, and we were invited. 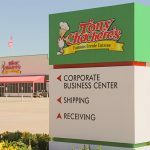 This event allowed each employee to come out and receive a free breakfast or lunch from their employer. We even had the opportunity to provide mini bundt cake desserts for all of them plus Pelican cozies for their drinks! This sweet treat was a fun way to kick off our new relationship with CORE and see how much they truly appreciate their team. I’m responsible for developing SEG relationships and community outreach in Tangipahoa Parish and the surrounding areas. 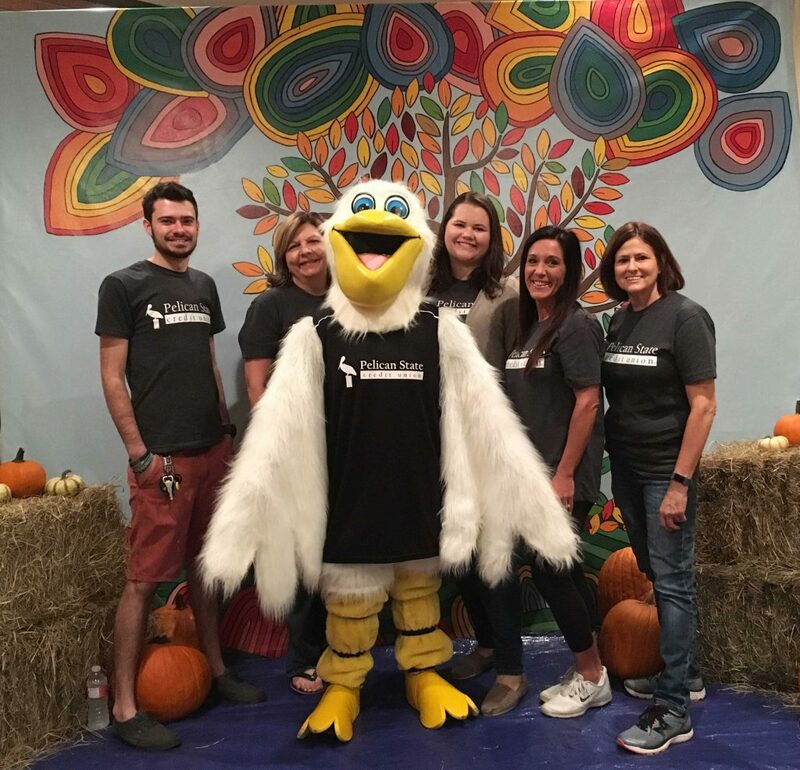 2018 was my first year at Pelican, and I got to host my first membership drive at Lallie Kemp Medical Center. On that day, I got to see the members’ passion for Pelican first-hand. 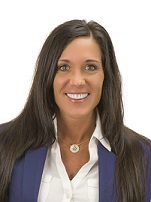 It was my first solo event as a Business Development Representative. I was nervous and excited at the same time. The nerves slowly faded as members stopped by and even brought their coworkers in to sign up for Pelican membership. A doctor in her scrubs brought two of her emergency room coworkers in and told them, “You guys are going to love Pelican! I’ve been a member for years.” Many employees of Lallie Kemp joined the Pelican family that day. I had the privilege of experiencing all the great things I had heard about Pelican, and I got to meet a lot of amazing people that day. Whether you are a member or work for Pelican, you are part of the family for life! 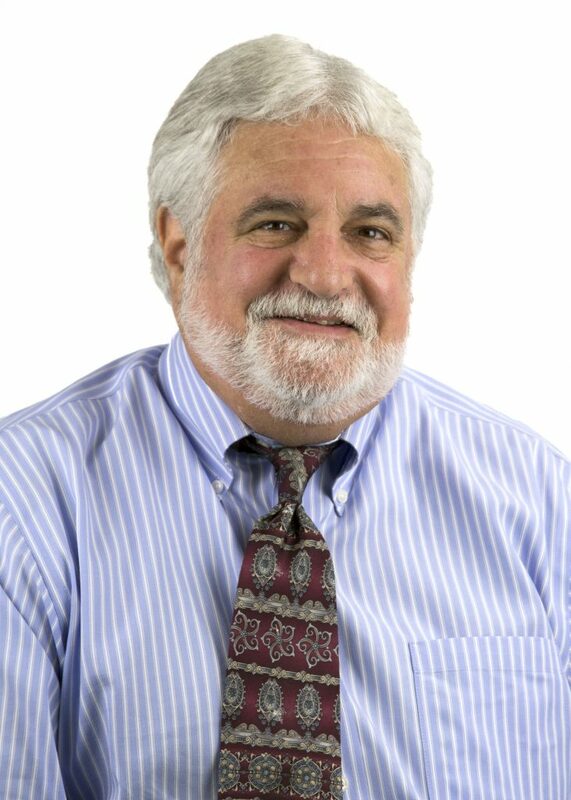 I’m responsible for developing SEG relationships and community outreach in the Southwest Region of the state including Cameron Parish, Lake Charles, Lafayette and Opelousas. In Lake Charles, taking part in the events that make a difference in our community is a priority. 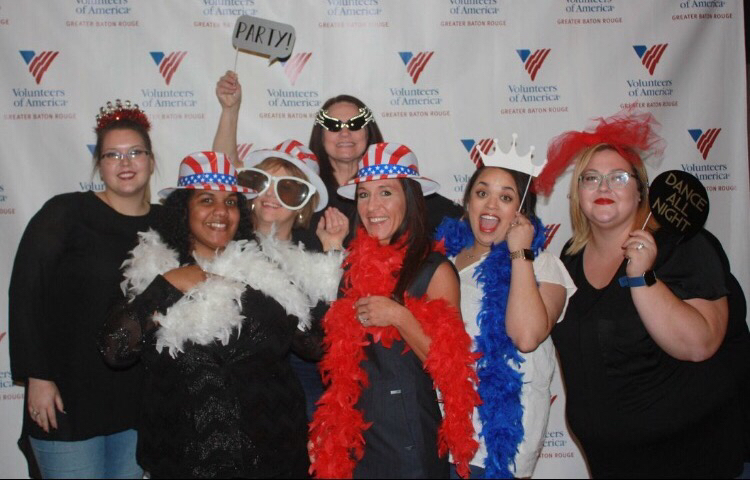 This year, we supported our local Volunteers of America affiliate at their Beats and Eats Soiree! 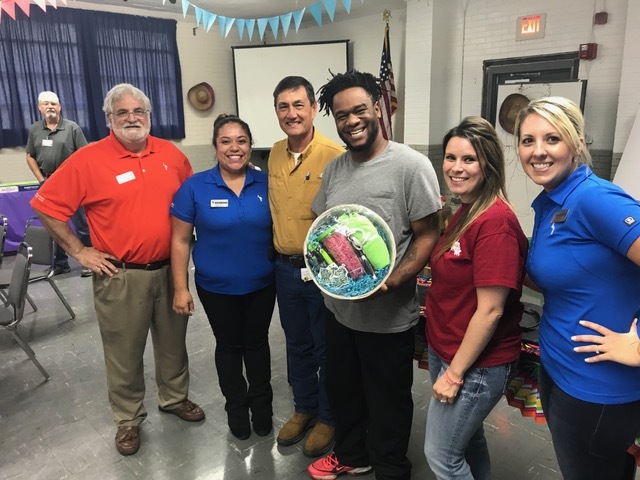 On March 24, Pelican’s Lake Charles branch came together to support our local Volunteers of America Select Employer Group. The Beats & Eats fundraiser event took place at the Lake Charles Civic Center. 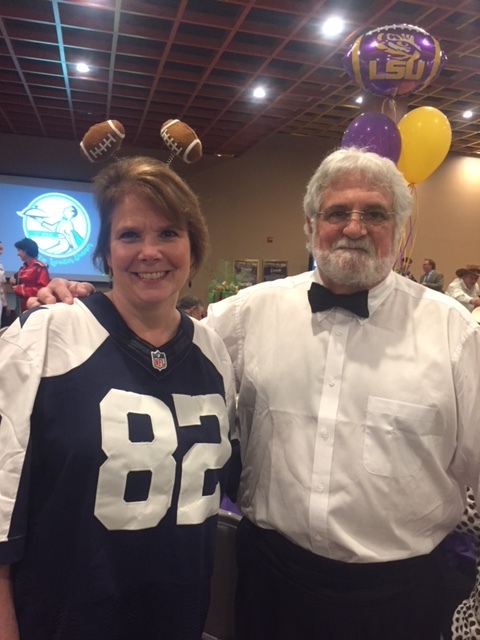 The theme this year was “Rocking for Recovery.” The event included a band, dinner and an auction. We were welcomed by the Cumulus radio personality, Ashley Reed. The opening prayer was given by Janet Pace, the CEO and President of Volunteers of America Greater Baton Rouge. In addition, Lake Charles Mayor Nic Hunter attended and provided a public announcement in honor of Volunteers of America. This year’s event was definitely one to remember. We danced, ate some fabulous food, and most importantly, showed our support for one of the most honorable organizations that truly touches the lives of the most vulnerable in our community. On the first weekend in October, St. Pius Elementary School hosted their annual Family Fun Day. The entire St. Jules branch came together to make this event a success. 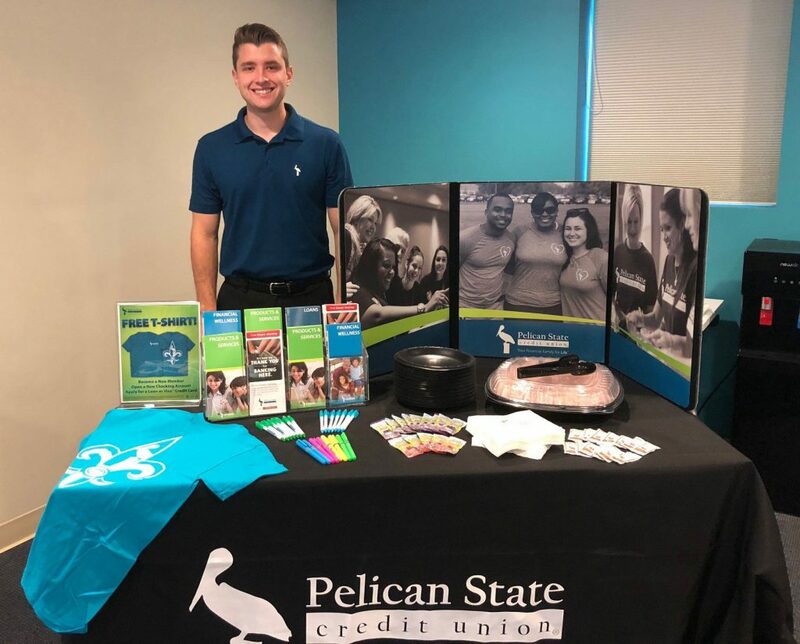 Pelican State Credit Union was out in full force with loads of giveaways and a Plinko game. Petey the Pelican showed up and gave away many hugs to the children of St. Pius. I’m pretty sure Petey was even caught on the dance floor a few times! The annual St. Pius Family Fun Day consists of numerous activities for the children to participate in. There was face painting, arts & crafts, a ring toss and even a cake walk to name a few. The church was decked out with fall-themed decorations which included pumpkins, hay and happy scarecrows. We are very grateful for their invitation for us to join their Family Fun Day this year. We are beyond thankful for all of our members and Select Employer Groups, and we look forward to many more events coming into next year! What was one of your favorite Pelican events this year? Want to partner with Pelican to become a Select Employer Group? 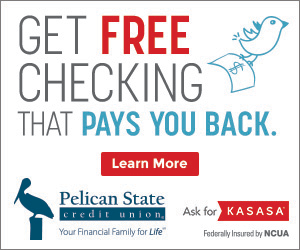 Visit pelicanstatecu.com/partner to learn more! 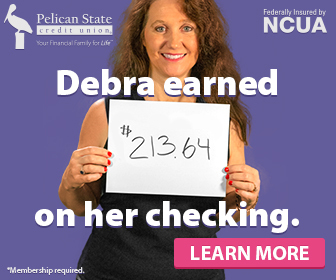 Once a Pelican State CU member, always a member—through life’s milestones, we’ll always be there to help you with your financial needs. Your Financial Family for Life. Give us a call at 800-351-4877. You Might Be Believing a Credit Union Myth! It's okay, because we're here to bust them! 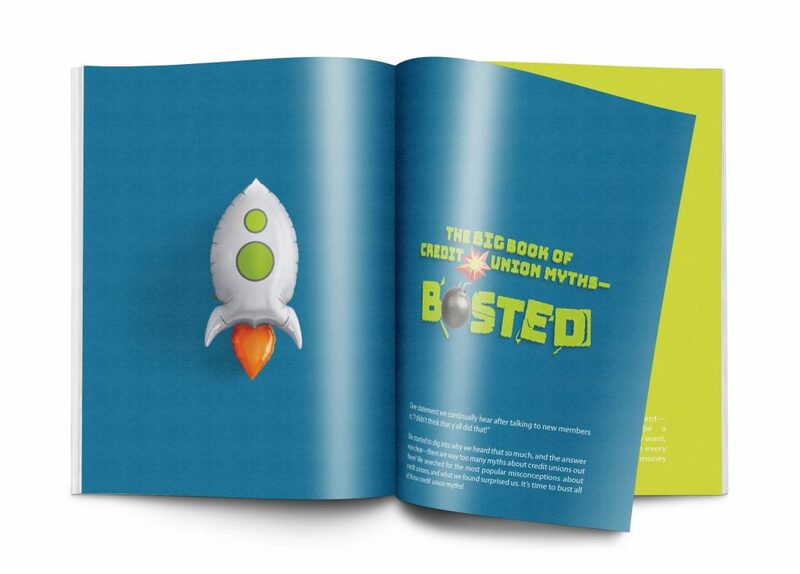 Click the image below to read our free eBook "The Big Book of Credit Union Myths—BUSTED!"